Scientifically unsound and fictitious at the surface. Spiritually relevant and profound below the surface. 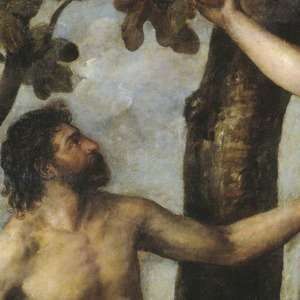 In this episode, host Curtis Childs from the Swedenborg Foundation and featured guests use 18th-century philosopher Emanuel Swedenborg’s spiritual exploration of the inner meaning of the Bible to shed new light on the Adam and Eve narrative. When interpreted symbolically, the story has profound meaning for our lives today and points to a deeper connection between the physical and spiritual worlds in the future. Featured in this episode and available to download for FREE in e-book and PDF formats! Secrets of Heaven by Emanuel Swedenborg: http://www.swedenborg.com/product/secrets-heaven-1-nce/?utm_source=youtube&utm_medium=SH&utm_content=jun29&utm_campaign=SAL Here Swedenborg uses correspondences (connections through symbol between the material and spiritual world) to explain the inner meaning of the Bible. Divine Providence by Emanuel Swedenborg: http://www.swedenborg.com/product/divine-providence-nce/?utm_source=youtube&utm_medium=DP&utm_content=jun29&utm_campaign=SAL Swedenborg’s answer to the question of how one is to reconcile the notion of a loving God with the existence of evil, hardship, and suffering. Become a member of the Swedenborg Foundation and help us continue to produce original video content each week. In addition to supporting us at offTheLeftEye, you’ll also help fund other Foundation projects that aim to spread Swedenborg’s spiritual message of hope to all. Plus, you’ll get lots of cool members-only benefits. Hit the YouTube Subscribe button above to be notified when we upload new videos here!